The Indian state of Odisha is home to a large section of India’s indigenous people. Most of them are poor and their lives depend on forests they call home. They are the original inhabitants of the land. Unfortunately, this peace-loving people are today forcefully dispossessed from their lands, illegally and arbitrarily arrested, and face death at the hands of the state agencies. The Indian state of Odisha is blessed with natural wealth. Of this includes an estimated 30% of the land covered by some form of forest and the state accounting for 83, 92, 55, 38 and 26 per cent of chromite, nickel, bauxite, iron ore and coal resources of India. This natural wealth, and the greed of private and state-owned corporations to ruthlessly exploit these resources is unfortunately the root cause of violence committed against the indigenous communities in Odisha. For instance, a South Korean steel company, POSCO, in 2005 signed an agreement with the State Government of Odisha to setup a steel plant and to undertake mining of steel and other ores in the state. The proposed plant and mining in the Jagatsinghpur district of Odisha threatens the livelihood of thousands of families, including those from the indigenous communities. In fact, the State Government of Odisha acquired the land, mostly forested area, forcefully evicted the original inhabitants and handed over the vacated land to the company. The eviction was undertaken by use of force. There were no consultations held by the state government before it went ahead and signed the agreement with the multinational company. The government does not have a rehabilitation scheme for those who were evicted. This brought the state action directly in conflict with that of the people’s rights. In the midst, militant leftist groups (Naxalites) operating in the region are also exploiting the situation with an unreal aim of overthrowing the Indian state by an armed struggle, for which they create and exploit violence. The people of the Jagatsinghpur district in Odisha where POSCO was to setup the plant and extract ores, faced with forceful eviction, organised in the name and style, Posco Pratirodh Sangram Samiti (PPSS). The purpose of PPSS is to invoke constitutional remedies to resist the arbitrary denial of their right to land and livelihood by the government. To subdue the people’s movement, the State Government of Odisha has started extra-judicially executing members of the PPSS and registering fabricated cases against its leaders. The PPSS has documented over 42 cases of extrajudicial execution by state agencies in Odisha. The state government on the other hand has registered 420 criminal cases against the leaders of the PPSS. None of the cases of extrajudicial execution has led to any form of investigation. The National Human Rights Commission of India has formulated a set of procedures that the government should follow in each case of extra-judicial execution. This includes mandatory investigation in all cases of death in police action, and the video recording of the autopsy of the victims. The government does not follow these rules. Instead, the government claims that each death was in an armed encounter between the deceased and the state agencies. So far the State Government of Odisha has impartially investigated not a single case of extrajudicial execution. No person responsible for such executions have been investigated, prosecuted or punished. No person killed in such murders has been compensated. No court in India has bothered to intervene in any of these cases, despite complaints by the relatives of the victims to the court. Extrajudicial execution carried out by the state agencies is an undeclared means with which the Indian state is aiming to achieve a ‘chilling effect’ upon the indigenous communities in India. Especially in states like Odisha, where these communities demand and if denied protest for righteous and environment friendly development projects, they are viewed by the state as an obstacle to industrialisation. It is those who cannot be silenced with arbitrarily arrest on fabricated charges and imprisoned for long periods of time without the possibility for bail that risk ‘executive elimination’ by the state. 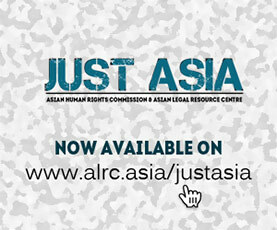 The Asian Legal Resource Centre (ALRC) therefore requests the Human Rights Council and its specialised mandates to take note of the above mentioned situation. The manifold and specialised agencies of the Council should have spent adequate time and effort to generate sufficient understanding about the challenges the indigenous communities in India face, especially in the context of industrialisation, and the adverse and non-reversible environment and human impact these projects make in places like Odisha. At the very least, extrajudicial execution must end. The Indian state must account for each life that has been lost so far in states like Odisha, where extrajudicial execution is practiced against communities that demand for their constitutional rights.